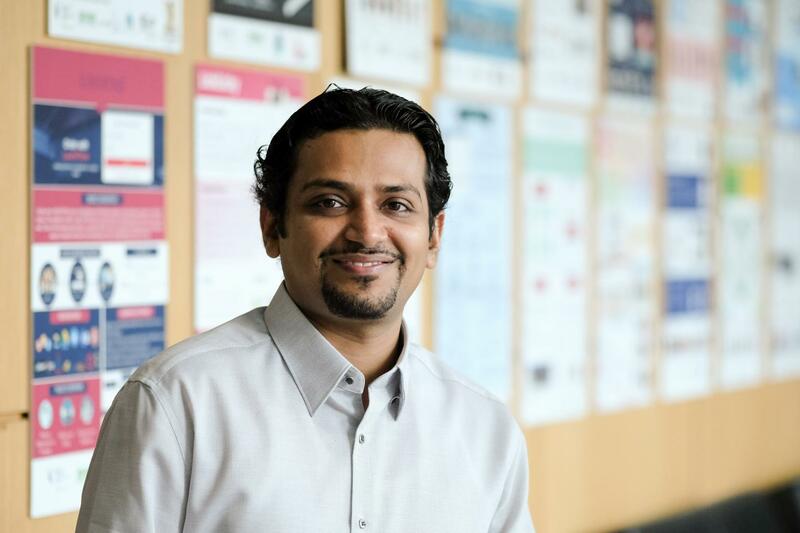 SINGAPORE, 14 June 2018 (Thursday) – Assistant Professor Akshat Kumar from the School of Information Systems (SIS) at Singapore Management University (SMU) has been recognised as one of "AI's 10 to Watch" by the IEEE* Intelligent Systems Magazine. He is being recognised for his contributions in the field of Artificial Intelligence, and in particular for his work on automated planning and decision making in multiagent systems. This award recognises young scientists who have made significant contributions in the field of Artificial Intelligence (AI) and have received their PhDs in the last five years. Nominations for this biennial award are sought from a wide range of senior AI researchers from both academia and industry. With this recognition, Prof Kumar joins the group of 9 other researchers worldwide who have been selected for this award in 2018. Prof Kumar said, "I feel greatly honoured and humbled to be selected as one of the "AI's 10 to Watch". Over the course of my career, I have been fortunate to have great mentors, advisors, and collaborators, and an intellectually stimulating work environment at SMU's School of Information Systems. I am very thankful for their continued support and collaboration which is invaluable for my research and academic career." Prof Kumar's research is in the area of planning and decision making under uncertainty with a focus on multiagent systems and urban system optimisation. His work addresses our rapidly interconnected society and urban environments, from personal digital assistants to self-driving taxi fleets and autonomous ships, and develops computational techniques that will allow such complex ecosystem of autonomous agents to operate in a coordinated fashion. Over the past few years, Prof Kumar's work has addressed various challenges in such diverse urban settings as scalability to thousands of agents, uncertainty and partial observability, and resource constrained optimisation. In addition to academic contributions, Prof Kumar also participates in the Fujitsu-SMU Urban Computing and Engineering Corporate Lab. He along with his collaborators have designed maritime simulators and novel intelligent scheduling algorithms that can coordinate vessel traffic in Singapore Straits for better safety of navigation. Such simulators and approaches are based on studying the real aerial location data for ships that enter Singapore waters over a large period of time. Results of such studies have appeared in leading AI conferences. On his future research, Prof Kumar shared "I see multiagent systems becoming more and more relevant with the adoption of internet-of-things. We are going to be surrounded with agents that help us control our homes, our cars, and even our digital lives. I am particularly excited by several research challenges which arise with such unprecedented connectivity, such as dealing with the problem of scale, ensuring safe co-habitation of humans and autonomous agents, and ensuring coordination in the presence of both cooperating and competing agents." Prior to joining SIS in 2014, Prof Kumar was a research scientist at the IBM research lab in New Delhi. He obtained his Bachelor degree from the Indian Institute of Technology Guwahati, India, and his Masters and PhD from the University of Massachusetts Amherst, all in computer science. Over his decade long career in AI, Prof Kumar has published more than 40 papers in refereed conferences and journals. Prof Kumar's work has received numerous awards including the Best Dissertation Award at the International Conference on Automated Planning and Scheduling (ICAPS 2014), and a runner-up award at International Conference on Autonomous Agents and Multiagent Systems (AAMAS 2013). His work has also received the Outstanding Application Paper Award at ICAPS 2014, and the Best Paper Award in the 2017 AAAI Conference on Artificial Intelligence in the computational sustainability track. All these conferences are among the top-tier conferences in the field of AI. At SMU, he has been awarded the Lee Kong Chian Fellowship in 2017 for his sustained research contributions at SMU.